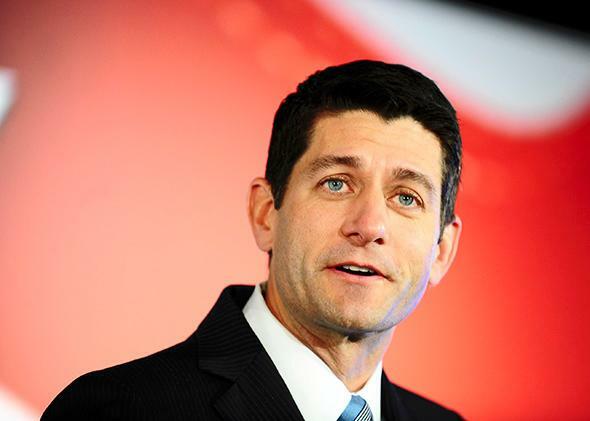 Paul Ryan’s anti-poverty plan is paternalistic. It’s also a thoughtful, compassionate blueprint for a better social safety net. It’s also a thoughtful, compassionate blueprint for a better social safety net. The face of a smarter nanny state? Paul Ryan has just released a new anti-poverty plan, and it’s a doozy. Though the plan is very much a work in progress—Ryan’s team calls it a “discussion draft” to underline that it is not a final product—it includes some of the most thought-provoking ideas to have ever come from the halls of Congress, where ideas traditionally go to die. If you’re a red-blooded American liberal who follows the news closely, you probably have a lot of preconceived notions about Ryan, the Wisconsin congressman and chairman of the House Budget Committee. You might think he’s a wild-eyed Ayn Rand devotee hell-bent on dismantling the safety net, and that the top action item on his daily planner is to give to the rich and take from the poor, like a cackling reverse Robin Hood. While I can’t speak to what Ryan does in his off hours, I can say that he does believe in the safety net, as he made clear in an address to the conservative American Enterprise Institute on Thursday. There are conservatives who accept the existence of a social safety net begrudgingly, as a concession to political reality that nevertheless offends their libertarian convictions. These are the guys who damn Franklin Delano Roosevelt while adjusting their monocles. And then there are those who, like Ryan, believe that a safety net in good working order is crucial to a healthy economy. Where Ryan parts company from most liberals is in his understanding of what it means for the safety net to be in good working order. Judging by this new plan, titled “Expanding Opportunity in America,” Ryan believes that poor families don’t just need help—they need the right kind of help. Instead of railing against bureaucrats who meddle in the lives of the poor, he makes a case for caseworkers. Specifically, he floats the idea of “Opportunity Grants” that would allow a few brave states to step forward and redirect federal money that now goes to a panoply of social programs to more targeted efforts to lift people out of poverty for good. The federal government’s official poverty measure, as Ryan’s report reminds us, doesn’t take into account most benefits, including the earned-income tax credit, rent subsidies, and food stamps. That leads many analysts to conclude that the official poverty measure is misleading—that it paints too dire a portrait of how poor Americans actually live. They’re wrong. The official poverty measure is very useful because it focuses on how much people are earning. * Earnings are the route to economic independence because, unlike government benefits, they’re not subject to legislative whims or confusing income cutoffs. Earnings are, after taxes, yours to keep and to do with as you please. They reflect what people are willing to give you for an honest day’s work, not what a bureaucracy sends you because you could use the help. As Brink Lindsey, a scholar at the Cato Institute, has argued, “paid employment is the most reliable path to commitment, engagement, and a sense of purpose,” while joblessness keeps people on the margins of society, even if their basic material needs are being met. What’s much harder than mailing checks is having people on the ground. Whether they’re government bureaucrats or private providers, these people must understand the challenges that poor people face—both immediate problems, like a lack of cash, and longer-term ones, like a dearth of the skills one needs to become economically self-sufficient. The theory behind having smart, dedicated caseworkers working on behalf of people who are down on their luck is that spending a bit more time and money now could help save time and money later. If someone takes the time to understand your personal situation and the particular challenges you face, there’s a better likelihood you’ll have a successful outcome down the line. If all of this caseworker talk sounds paternalistic to you, you’re on to something. Conservatives hate nanny-statism, and are always railing against the regulations that get in the way of entrepreneurs. When it comes to the poor, however, most conservatives lose their live-and-let-live attitude. The basic idea here is that if you’re going to get help from the taxpayers, the taxpayers should have a say in how you use it. That is why conservatives are more likely to support food stamps, which can be spent only on food, and the earned-income tax credit, which gives an income boost to low-income workers, than no-strings-attached cash, even though a simple cash payment requires far lower administrative costs. There are a few people on the right who favor no-strings-attached cash over paternalistic welfare programs, like Charles Murray, the granddaddy of American libertarians and author of a terrific, well-argued, and ultimately pretty wrongheaded book called In Our Hands, which calls for replacing all social programs with a decent-sized cash payment to all Americans. By and large, though, conservatives take a libertarian view when it comes to people who can support themselves and a paternalistic view to those who can’t. One interpretation of this split is that conservatives hate the poor and can’t stand the idea of treating them with dignity. Another interpretation, which strikes me as closer to the mark, is that conservatives want people who can’t support themselves to become people who can. The problem is that this is easier said than done, and it won’t happen overnight, hence the need for some kind of safety net. The most controversial idea in Ryan’s anti-poverty plan, at least as it stands right now, is that poor families should work with government agencies or approved nonprofit or for-profit service providers to develop a plan for achieving economic independence. But wait a second, you might say—Social Security beneficiaries aren’t required to present a plan! Why should poor people be treated differently than workers who’ve been making Social Security contributions for decades, and who are collecting benefits at the end of a long working life? There’s actually a pretty straightforward reason: Social Security is designed for old people. No two old people are the same, to be sure, but they all have the same basic problem: They are too old to work, or to work very long hours. That’s a problem we can deal with. Ryan understands that poverty in America is not one big thing. It’s not best understood as a dearth of government checks, or even as a dearth of compassion. There are as many different reasons for poverty as there are people living below the poverty line, and Ryan’s call for more narrowly tailored anti-poverty solutions is one modest step toward recognizing that fact. This isn’t to say that Ryan is right about everything. Remember, he’s just issued a “discussion draft”—he’s not even sure that he’s right about everything. But he is asking the right questions, and that’s an excellent start.